Announcing an Exciting Advocacy Program for Community Members! 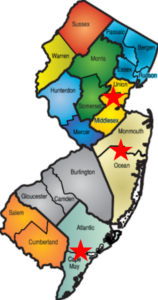 The MHANJ has partnered with the National Council of Alcoholism and Drug Addiction – NJ (NCADD-NJ), through a grant from vanAmeringen Foundation, Inc., to develop three regional Behavioral Health Advocacy Teams. The purpose of this collaboration is to improve overall behavioral health in New Jersey through grassroots, community advocacy. available to members through-out the year, free of charge. Apply to Join a Team Near You!